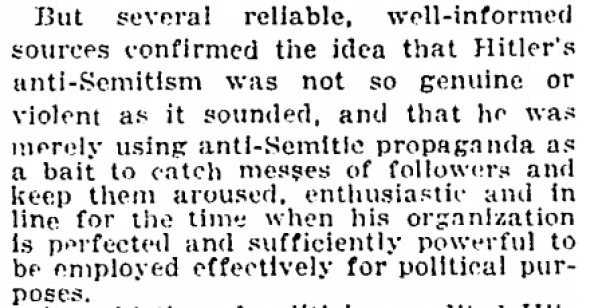 Adolf Hitler, Donald Trump, and a 1922 New York Times article. 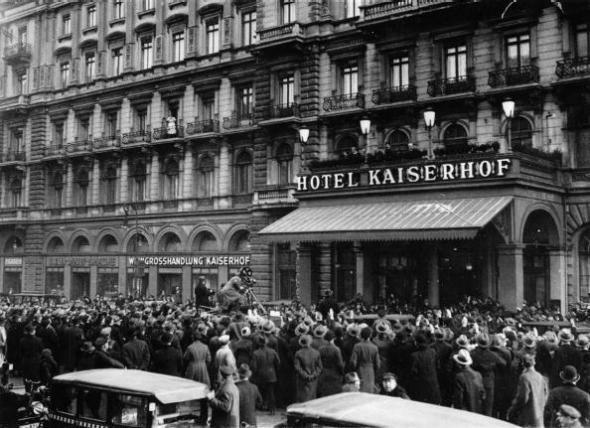 A crowd in Berlin celebrating outside the Hotel Kaiserhof, where Hitler was sworn in as Germany’s imperial chancellor, on Jan. 30, 1933. One thing you will hear people say about Donald Trump is that he might not actually be that terrible a president because he wouldn’t actually follow through on the fascist things he says he is going to do, like deporting 10 million Latinos and banning Muslims from the country. Lots of regular politicians say things they don’t really mean or promise things they couldn’t accomplish to get attention during campaigns, so maybe Trump is the same way, right? Wow! Those “well-informed sources” really ended up with egg on their faces.